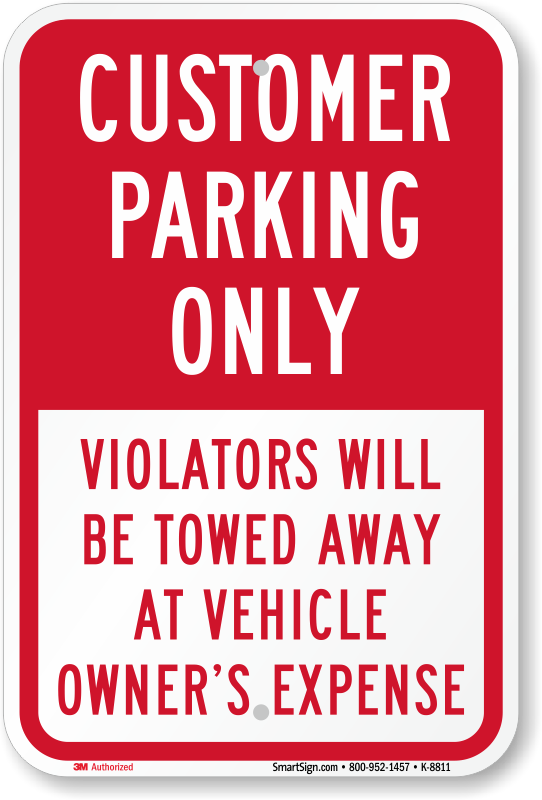 Do you have a problem with illegal parking? 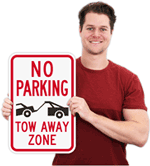 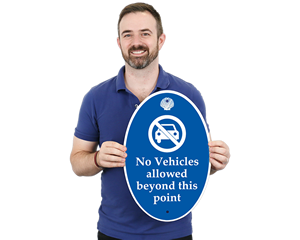 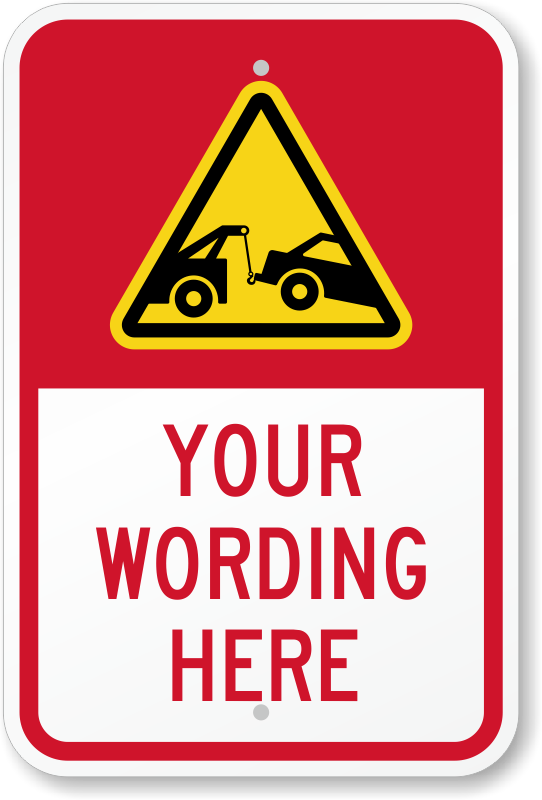 A custom tow away sign is the proven and simple way to clear up your lot. 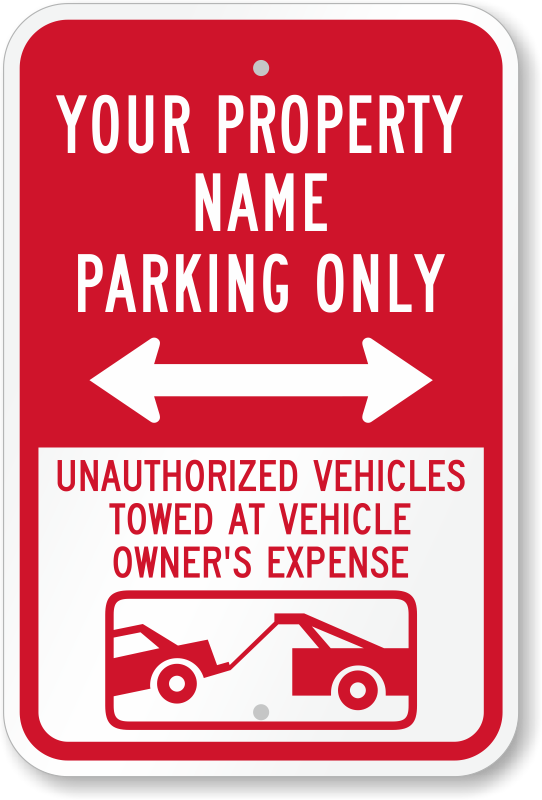 • Customize your sign with the tow company name, your own property name. 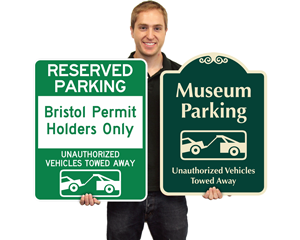 A custom sign adds credibilty and “teeth” to your security. 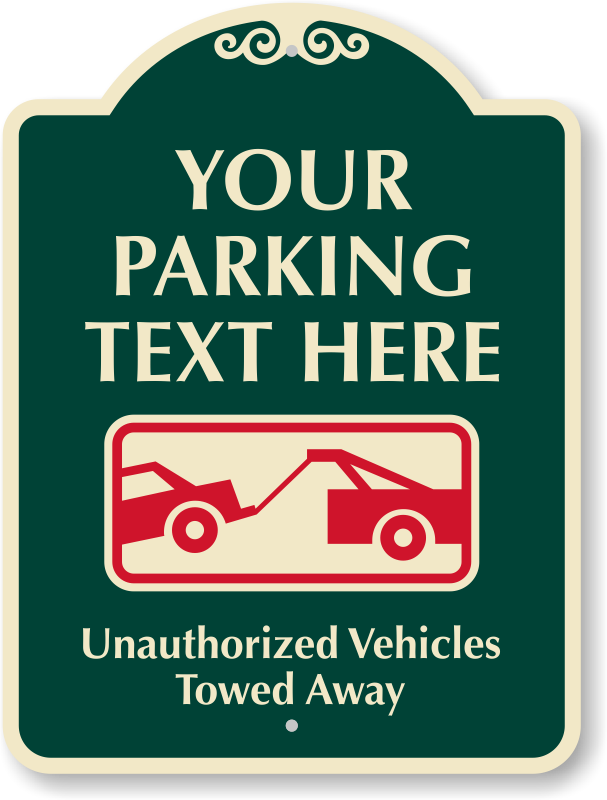 The details of your parking rules mean that you take enforcement seriously. 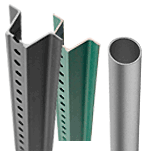 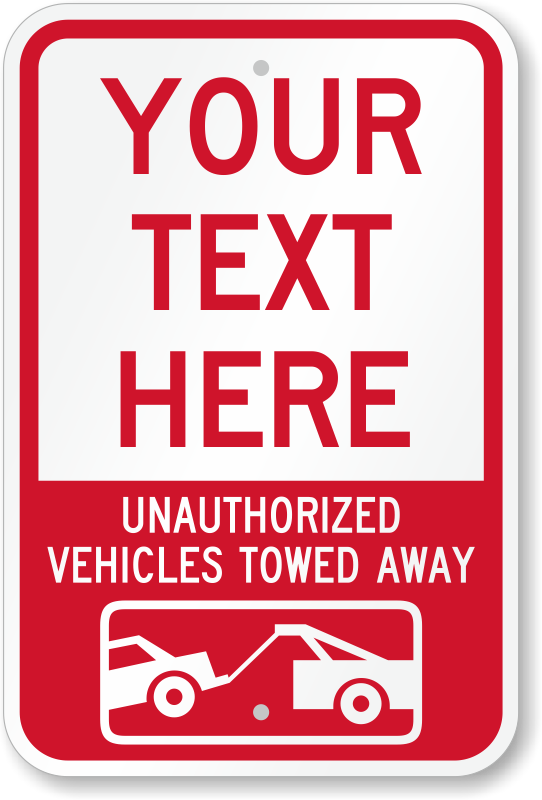 • Signs are available in a range of reflective options. 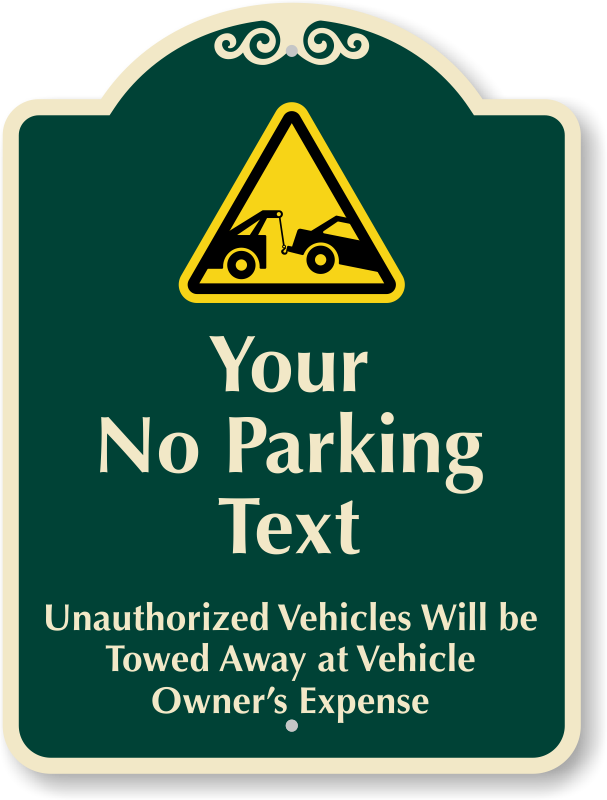 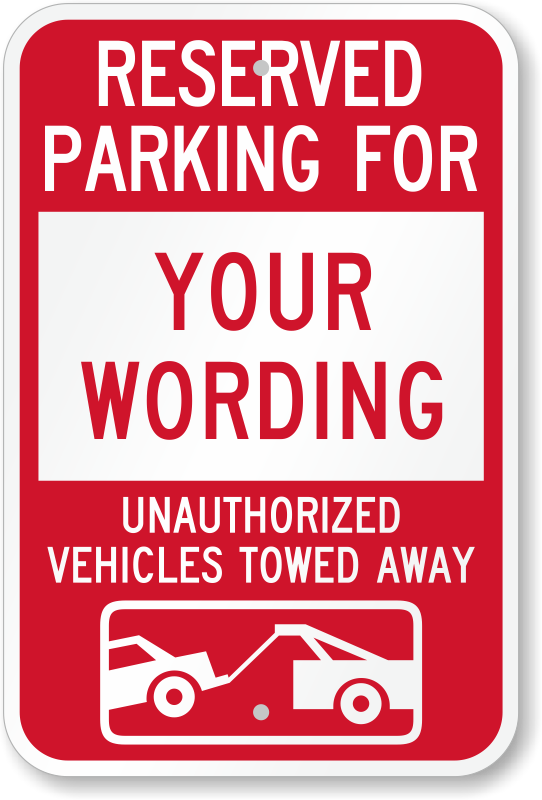 DOT requires that parking lot signs be made from reflective materials – for any lot that is publically accessible. 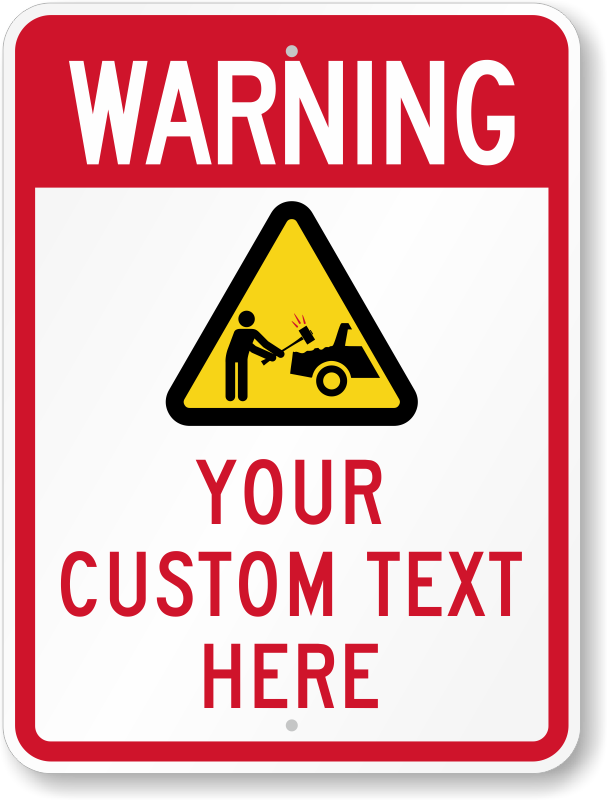 • Signs last for over 10 years. 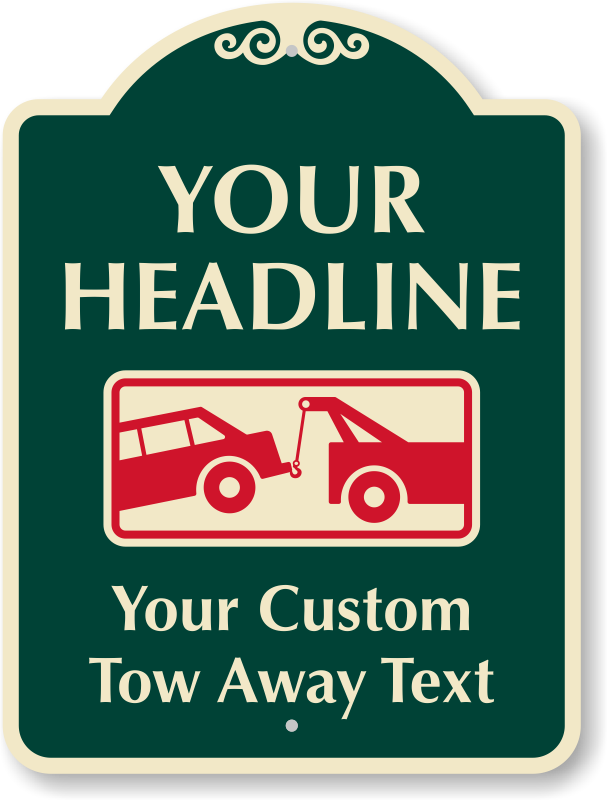 Add your towing company's name, address, and phone number. 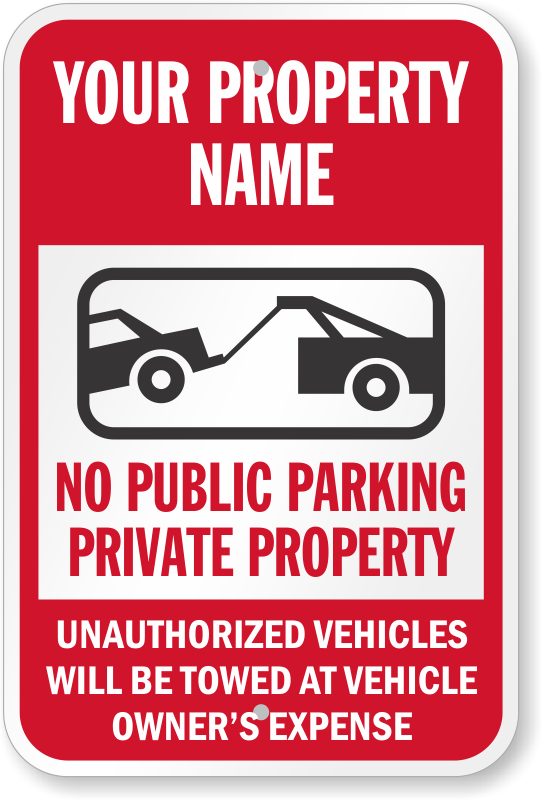 No sign scares off more violators. 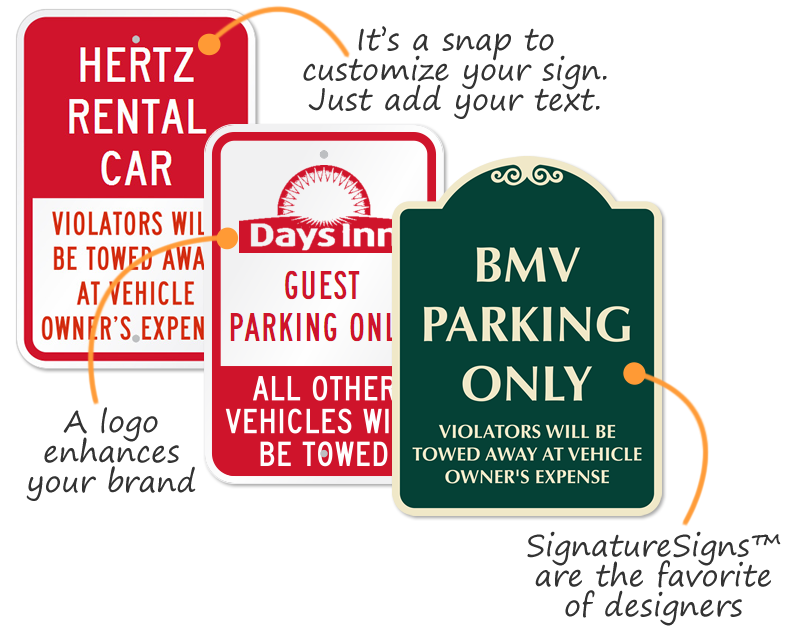 • Just add your company name. 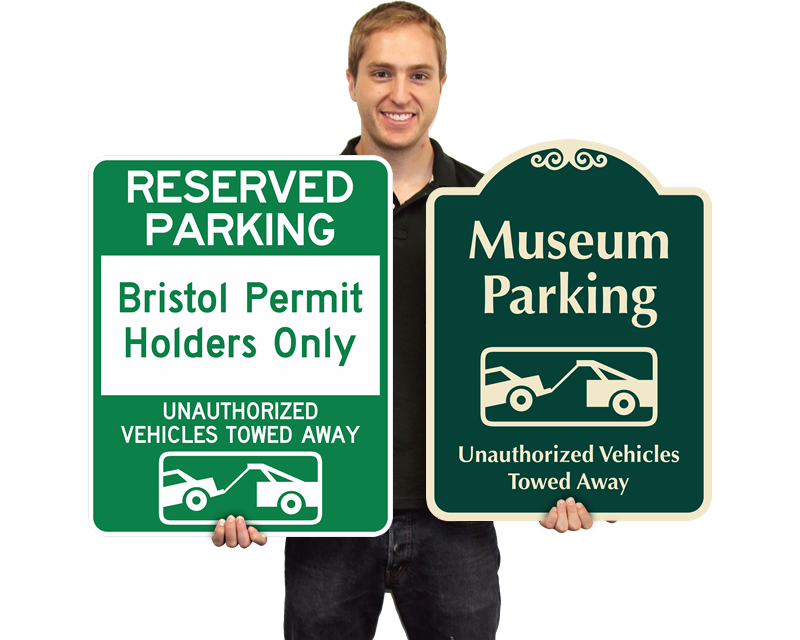 • Browse a large selection of signs. 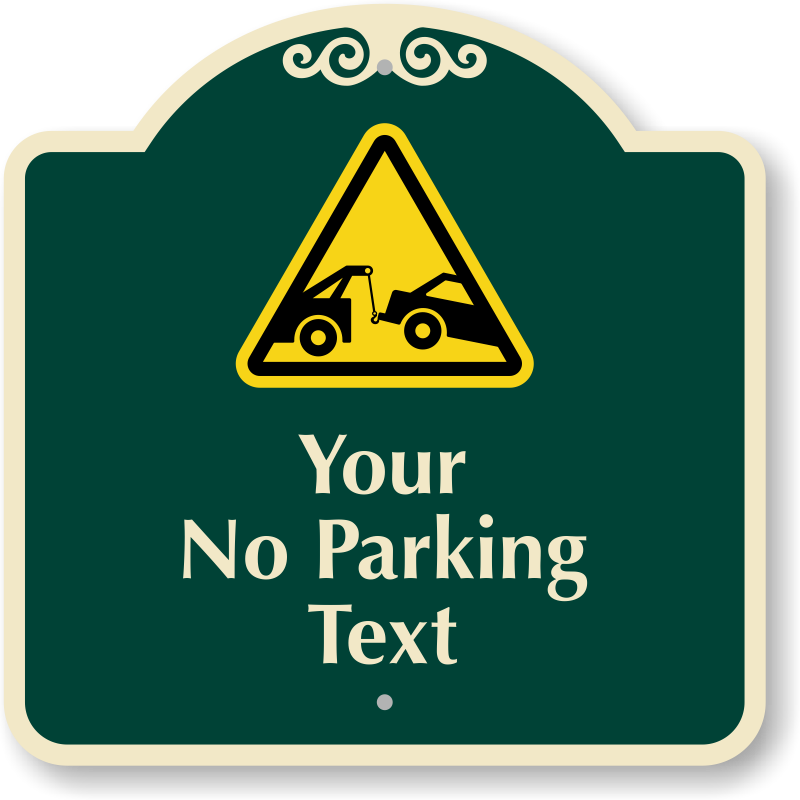 • Supplemental signs. 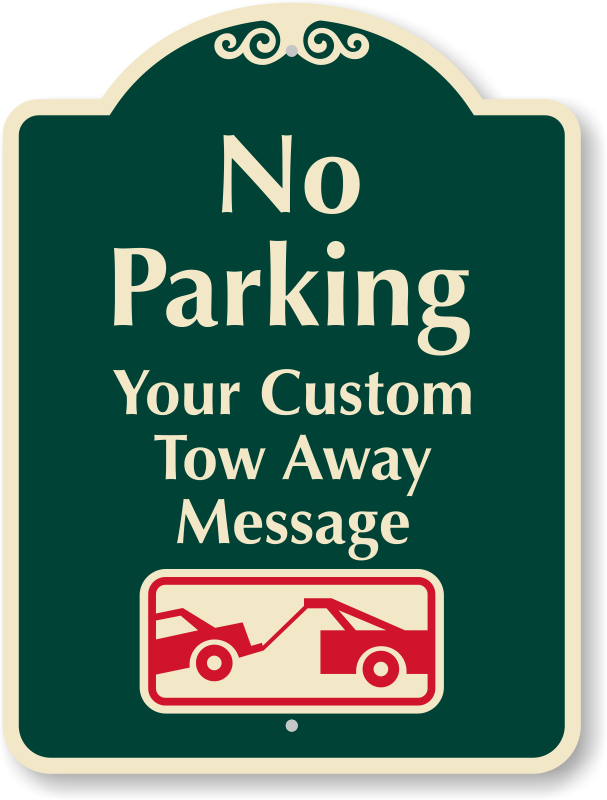 6” x 12”. Signs look very nice, very fast delivery, we are very happy with the service. 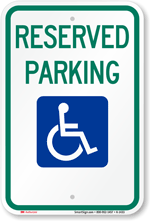 Arrived ahead of time and exactly as expected. 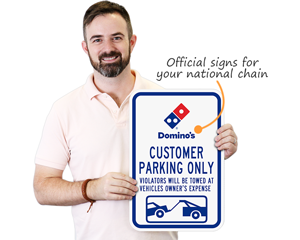 I received this order really quickly. 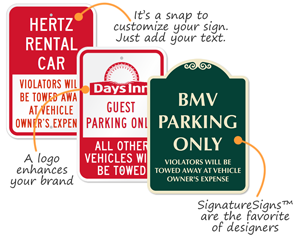 The signs are high quality and exactly how I designed them. 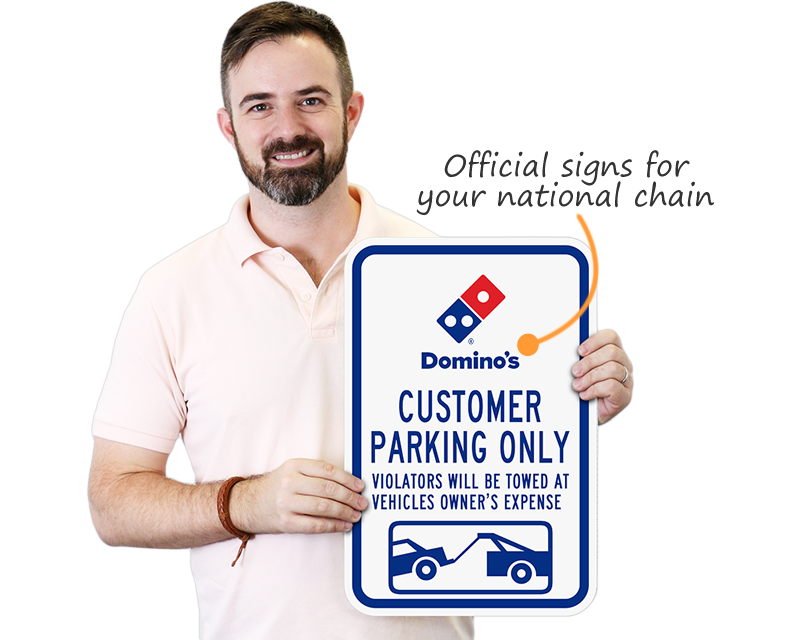 Well done and we will definitely use this company again for our signage needs.